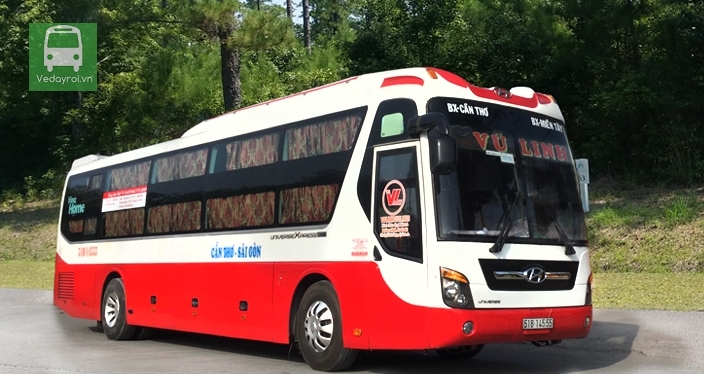 With so many buses to choose from in Vietnam, you are spoiled with choices. That is where Easybook come in to make your life less complicated. We want to introduce you to the different bus operators available to consider before booking your bus tickets online without having to go through the hassle of queuing up at the counter. One of them is Vu Linh who has been operating and specializing in the transportation sector since August 2013. You can be sure of a great ride as they are currently operating with sleeper buses that are equipped with a range of modern facilities. Vu Linh guarantees to provide high quality services to their passengers together with their trained and experienced drivers. Not only does Vu Linh provide services on the fixed routes, they also transport goods through their operating routes, offer car rental services and even hotel services. The Vu Linh hotel is located at the center of Can Tho city that comes with 12 luxury rooms over 5 floors to allow customers to feel comfortable with the modern facilities available during their stay. The company’s implementation of the 9-seater limousines and its extension into the hotel business are indication of Vu Linh’s effort to gradually become one of the most prestigious brands in Vietnam especially for those travelling between Saigon and the West of Vietnam. If you are interested to experience the quality service provided by Vu Linh as mentioned, feel free to book your bus ticket now at Easybook’s easy-to-use website and mobile app as well.